Dog owners and dog lovers have their passion for dogs in common for sure. But, when it comes to caring for their beloved companions and other dog-related practices, opinions may be varied. It is like the cases of parents choosing different ways of raising their children. There's no doubt that everybody is looking to protect their best dog's interests. Still, there are certain topics that always stirred controversies and continue to do so even in present days. What topics are we talking about? Take a few minutes to read the lines below. You probably noticed quite a few campaigns stating “Adopt, don't buy!”, especially on social media networks. But, when people think about puppies, they will involuntarily think about a dog breeder. In their eyes, a breeder is the best source for healthy and high-quality puppies. Dog breeding is not a recent activity, occurring for centuries already. All the dog breeds we know today appeared through selective breeding. Also, responsible dog breeding will make sure that the genetic qualities of a dog breed will be safely and correctly passed on to the next generations. However, some consider that dog breeding is not a natural way to produce puppies. The dogs are selected by humans and made to breed according to a well-set schedule. Besides this, it is believed that the activity of dog breeders leads to the appearance of homeless dogs. Not every person who purchases puppies from a dog breeder will also be a responsible dog owner. A good number of puppies end up unwanted adult dogs, roaming the streets without being spayed or neutered, and producing offspring in their own turn. These puppies will also become homeless dogs and so a vicious circle begins, as animal shelters struggle to cope with the increasing number of strays. Thus, the puppies produced by a dog breeder will deny a homeless dog the chance to find a forever home. The worst part is that there are many illegal dog breeders that chose this type of activity for generating profits only. Their number is unknown, but their activity is definitely one of the factors that lead to the increasing numbers of homeless dogs and low adoption rates. Future dog owners should know about the differences between choosing a licensed dog breeder and an illegal dog breeder. Also, they should look into the benefits of adopting, instead of buying a dog, and decide whether adoption isn't a better option after all. If you are looking for a friendly and playful dog, you may want to take a look at this link, and find the perfect little puppy for you. What does it mean to modify the body of a dog? You probably know or noticed that some dogs have their ears cropped and tails docked. This is definitely one of those topics that generated a large wave of controversies, up to the point of being banned by the regulations of some cities. What led to the appearance of body modification in dogs? The roots of such practices can be found in breed standards published by the AKC. There are several dog breeds that have cropped ears or docked tails in their descriptive standards. According to the AKC, a person cannot display a dog in shows or breed the dog if it does not respect the standards of its breed. This means that those who opted for these particular breeds will have to perform such operations if they want to participate with their dogs in official shows or produce puppies. 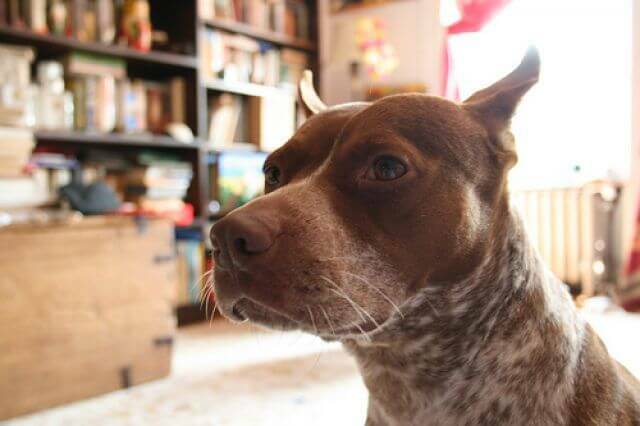 While there are some people who will state that body modification is not painful for the dog, looking into the details of these procedures it is easy to tell that things are different. Ear cropping and tail docking, in order for them to look in a certain manner, are both producing pain and discomfort. They can also be harmful to the dog, as the “adjusted” area is prone to developing infections if not treated adequately until it completely heals. It is worth mentioning that authorities in many cities forbidden such practices, in spite of what the AKC breed standards are stating. So, if a dog owner chooses to do so, he or she may face the consequences of not respecting the law. Who doesn't want to enjoy a well-behaved and obedient dog? But, at what costs? While firm yet gentle methods are recommended by some dog trainers, a part of the tools available on the market can stir outrage and resentment among dog lovers. Considering that are living in modern times, it is possible to say that we have a wide array of methods and tools to help us train our dogs or correct unwanted behaviors. However, several training tools received negative labels, such as “cruel”, “inhumane”, or “harsh”. We can include in this group of training tools the so-called pinch-collars or prong training collars and electric collars. As you can tell, these collars are made to create discomfort so that the dog will stop doing something it is not allowed to do. Prong training collars are used in the case of dogs that have a tendency to pull on the leash. When the dog is too strong and does not obey or does not know how to walk properly in a leash, the owner may find it difficult to restrain the dog. They may look rough, but they are not dangerous when used correctly. The prongs of these collars are not made to be sharp. Thus, they are not capable of puncturing the dog's skin, if used in an adequate manner. This means that they should not be tight around the dog's neck and should be able to slide comfortably when the dog is not pulling. Misuse of these collars and human errors are the main causes that lead to injuries connected to prong collars. These collars are probably the training tools with the worst reputation. Yet again, this is due to the fact that people don't truly understand their functioning principles and purpose. Called by many as “shock collars”, electric collars are not made to shock the dog with electrical impulses. What they do is a mere muscle stimulation, similar to the action of an abdominal muscle trainer. The purpose of such a collar is to effectively distract the attention of a dog when it adopts a bad behavior, like looking to engage in a fight. It is also worth mentioning that dog owners have the chance to use the vibrate function, instead of the “shock” function. In most cases, this is enough to grab the dog's attention and it is entirely humane and harmless. As a conclusion, there are several subjects that lead to controversies because they are misunderstood and subjects that could reach the ethical sphere. We are confident that you will always choose what is right for your dog and, in order to make the best decision, do proper and in-depth research. Only this way you will make a smart and informed decision, for the well-being of your companion.